At a gathering of top CEOs in August last year, Prime Minister Narendra Modi, while putting forth his vision for healthcare, agriculture, infrastructure, education and poverty alleviation, said it would become a reality by 2022. When Debjani Ghosh, the then Intel India head and now President, Nasscom, said that before 2022 he would have to face another election - in 2019 - and asked if this meant he was confident of a victory, Modi replied he was giving a vision for the country's 75th year of independence. This cuts into the heart of any assessment of his government as its completes four years in power. While it has accomplished a number of challenging tasks -such as introducing Goods and Services Tax, Bankruptcy Code and big infrastructure projects - by the time Modi starts his campaign for the 2019 elections, a big chunk of his transformational agenda will still be work in progress. As for the potentially politically damaging land, labour and education reforms, well, these have not even been picked up as yet. Even the most strident Modi critics agree that he has avoided short-term growth fixes which, in the Indian context, usually means following loose fiscal policies, although some critics, such as former finance minister and BJP leader Yashwant Sinha, say the government has frittered away the savings from extremely low oil prices over the past four years or so. It is difficult to counter this argument as the savings have been huge indeed. Consider this: Even though crude oil and petroleum product imports rose to 268 million tonnes (MT) in 2016/17 from 219 MT in 2013/14, the money spent on this almost halved from $165 billion to $87 billion during the period due to the sharp decline in crude oil prices. But finance minister Piyush Goyal, who is standing in for an ailing Arun Jaitley, says the money saved has been well spent. For example, the government increased budgetary and extra budgetary expenditure on infrastructure from Rs4.94 lakh crore in 2017/18 to Rs5.97 lakh crore in 2018/19. There were similar sharp increases in infrastructure spending in earlier Budgets too. "This is essential when private investment is not coming in," says a top Cabinet minister. The gross fixed capital formation as per cent of GDP slipped from 33.8 per cent in 2013/14 to 30.6 per cent in 2016/17. The minister says this extra spending will ensure that the private sector investment cycle starts trending upwards in the next two years which, again, takes us beyond 2019. "The government did well to diagnose the ailment. They started the treatment well. But most of the changes will require some time to show results," says Maruti Suzuki Chairman R.C. Bhargava. He says nations work in continuity but "credit needs to be given [to the government] for keeping its priorities right." The ailment he is talking about showed up in falling growth rates, high fiscal deficit/inflation, general pessimism around the economy and perception of policy paralysis. But has Modi's hyperactive governance been able to turn the tide? In quite a few areas, hardly so. Some of his flagship programmes - Make In India, Digital India, indigenous defence manufacturing and even the much-hyped Ganga rejuvenation plan - are, to say the least, looking for direction. But let's start with the areas where the government has been extremely successful - electrification and infrastructure development - and then move to things that are work in progress. One promise the government is almost certain to fulfil before it goes to the voters again is electricity for all. After connecting all villages to the power grid by March 2018, the government has announced a capital outlay of another Rs16,362 crore to connect all unelectrified 3.80 crore households by December. "Except Uttar Pradesh, I am confident that every state will be able to do it. We are working things out with the state and believe that things will start falling into place soon," says Power Minister R.K. Singh. But even if he manages to complete this daunting task in time, ensuring 24X7 supply will not be easy. The biggest hurdle will be cleaning up the debt mess that electricity distribution companies are mired in, augmentation of transmission capacity and ensuring capacity utilisation at generation units. All states, except West Bengal, have opted for the Ujjwal Discom Assurance Yojana under which state governments take debt of distribution companies on their books and promise to cut AT&C losses to 15 per cent and rationalise tariffs by eliminating the gap between the average cost of supply and the average revenue realised. The target date was 2018/19 but these goals are unlikely to have been met. On May 23, during a video conference, Gujarat Chief Secretary J.N. Singh was at the receiving end for the slow pace of work on railway overbridges, which will be an integral part of the western Dedicated Freight Corridor, or DFC, connecting Delhi with Mumbai. The conference was part of the Pro-Active Governance and Timely Implementation, or PRAGATI, a forum where Modi monitors implementation of big projects. "Projects stranded for long start getting clearances just as they are listed on the agenda of PRAGATI," says Alkesh Sharma, CEO of Delhi Mumbai Industrial Corridor or DMIC. This is in contrast to the UPA days when big projects in coal, power, oil & gas, steel and roads were stuck for years due to one ministry or the other holding back on permissions. Roads and Highways Minister Nitin Gadkari says when he joined office four years back, more than 300 road projects were stuck. The public-private partnership model, under which most of these projects were awarded, had collapsed. "I sat with promoters, bankers and my colleagues to clean up the mess," he says. Gadkari turned to the hybrid annuity model, or HAM, where the NHAI gives tenders for roads on an annuity basis. After this, the project is handed over to the toll company to ensure returns, reducing risk for developers. Nearly half the new work has been allocated under HAM. "This reduces the risk of insufficient traffic," says former Road Secretary Vijay Chibber. "Today the road sector is up and running," says Gadkari. His officials say work on 30,000 km of highways is on. In the last financial year, the NHAI awarded projects for 7,400 km, 70 per cent more than the 4,300 km in the previous fiscal. Construction of national highways touched an all-time high of 10,000 km in 2017/18 (28 km a day). The earlier record was 8,231 km in 2016/17. While the work to build highways is on at full swing, the financial viability of the new business model is yet to be tested. The result - if toll companies find it attractive or construction gathers pace - will be clear only with passage of time. Similarly, before moving out of the railway ministry, Suresh Prabhu pushed all DFC tenders for both Western and Eastern corridors. The trial run at the section between Ateli in Mahendragarh district of Haryana and Phulera in Rajasthan's Jaipur district has been completed. The western corridor is expected to be commissioned either by the end of 2019 or mid-2020, while the eastern DFC will take two more years. The DFCs, railways' showcase projects, were envisaged during the UPA regime, but work picked up in earnest under the current government only. These will decongest railway networks connecting Delhi with Kolkata and Delhi with Mumbai. A parallel project, the DMIC, an Indo-Japanese initiative, seeks to create a linear industrial development zone supported by the DFCs. The 1,483-km-long DMIC will connect Mumbai with Delhi and pass through 82 districts of six states (Delhi, Western Uttar Pradesh, Southern Haryana, Eastern Rajasthan, Eastern Gujarat, and Western Maharashtra). This means 17 per cent of India's area will come under the influence of this massive infrastructure development. Sharma says all land acquisition has been completed and the project is expected to be commissioned by 2022. On March 28, the railway ministry asked Integrated Coach Factory to scrap the global tender for 291 aluminium train-sets. The officials said the tender was not aligned with the Make In India policy under which the government plans to encourage foreign companies to build factories in the country rather than treating it as just a market. Even Suresh Prabhu's Commerce & Industry Ministry raised its objections. The Department of Industrial Policy and Promotion also said the tender conditions put domestic players at a disadvantage. Indian player Medha Servo Drives, along with its Swiss partner, Stradler were the sole bidders. Known as Train 20, it would have been Indian Railways' first modern rolling stock. As things stand today, the railways' modernisation plans are more or less grounded. This is just one example. Such lack of clarity and competing objectives have been the hallmarks of the government's Make in India campaign under which it wants to raise the share of manufacturing in the country's GDP to 25 per cent from close to 18 per cent at present. So far, except for a few mobile phone and LED units and locomotive factories being built by GE and Alstom, there are few signs that foreign companies have any serious interest in setting up manufacturing units in India in large numbers. The government has also been able to do little in education. The New Education Policy, or NEP, is still in the works, and though the allocation for education fell from 4.1 per cent of the Budget in 2014/15 to 3.6 per cent in 2018/19, the government claims progress in skilling and says it has set up 527 Pradhan Mantri Kaushal Kendras in 27 states. This is significant as the Employment and Unemployment Survey 2016 had noted that 58 per cent unemployed graduates and 62 per cent unemployed post graduates said they were jobless as they were not being offered jobs worthy of their education. The NEP is with the Human Resources Development Minister Prakash Javadekar and is expected to be circulated to Cabinet members in the next fortnight. The implementation deadline will have to be beyond 2019. The country's industry has also been lagging. 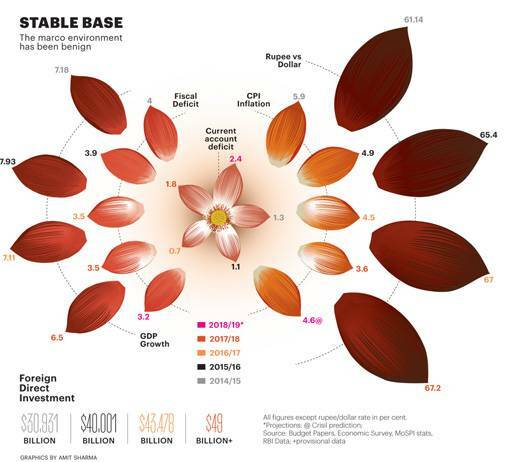 In the last four years, its share in GDP has risen only 80 bps to 18.1 per cent. This even as country waits for Prabhu to finalise the manufacturing policy. "The ministry has finished the draft and it has been circulated among the other stakeholder ministries. I am expecting that the new policy will come by the end of June," says Prabhu. Meanwhile, industrial capacities are hugely underutilised due to slack demand. The problems include declining competitiveness, along with disruption caused by demonetisation and GST. 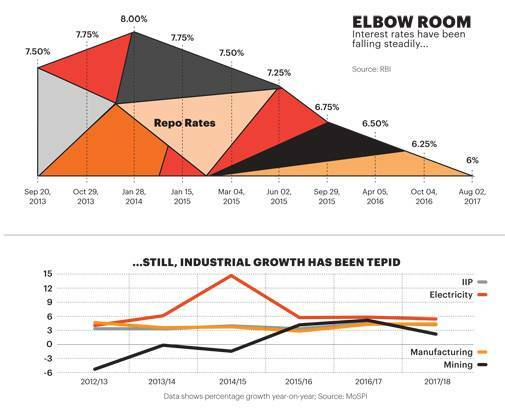 The average industrial growth rate during this government's regime has been a low 3.8 per cent. Prabhu believes this is work in progress and says he is not only preparing ground for existing capacities but is also pushing for manufacturing of new products. For example, he says, drone manufacturing will be a big industry in times to come. Prabhu, who doubles up as the country's civil aviation minister, has set up a committee under his deputy, Jayant Sinha, to fix the policy glitches in this area. This will need at least another few years for implementation. Exports, which have shrunk or grown in low single digits for most of the past four years, have been another disappointment. India's merchandise exports have not been able to touch the $314 billion level they had reached in 2013/14. Prabhu says he is aware of this and is looking for new markets and new products for these markets. "We are doing a market analysis of various African countries with Exim Bank to understand the demand for products. This will help us understand their needs and what we can supply," he says. He says India needs a long and medium term strategy to arrest the trend. Fast industrial progress is a must if India has to have any chance of removing rural poverty for which one of the biggest reasons is dependence of nearly half the country's population on agriculture. In developed countries, the figure is in single digits. A shift towards industry is a must if farm productivity is to rise. This brings us to our next topic - agriculture. The bumper tomato crop in Sehore, Narsinghpur and Raisen districts of Madhya Pradesh (MP) put farmers in distress as wholesale prices crashed from Rs5 a kg to Rs1 in a couple of days. In Delhi, meanwhile, policy makers were getting worried over the rising imports of tomato puree and ketchup. "This is a unique paradox," explains Rajiv Kumar, Vice Chairman, NITI Aayog who recently authored a paper, which was accepted by an informal group of ministers. He provided three options to remove rural distress: Market Assurance Scheme; Price Deficiency Payment System, or PDPS, and Private Procurement and Stockist Scheme. The Madhya Pradesh government opted for a version of the PDPS to help tomato famers. These schemes will be applicable from the end of the year when the kharif crop comes to the market. Rural India has been struggling with slow agriculture growth for quite some time. In the first two years of the Modi regime, the monsoon was below normal, leading to sluggish rural wage growth. In a recent RBI working paper, 'Rural Wage Dynamics in India: What Role does Inflation Play?' Sujata Kundu says rural wages saw high growth from 2007/08 to 2012/13, followed by a significant deceleration. In the past few years, there has been zero growth. Agriculture growth had been averaging just 2 per cent during this governments regime. The NITI Aayog's draft also added that though 82 per cent of the total production is meant for sale, much is not sold in formal markets. It is assumed about 40 per cent of the surplus goes through formal channels and will require financial support. A smaller group of three ministers will work out the exact modalities of the three schemes but there is a need to connect farmers with the food processing industry. In the last Budget, Jaitley had talked about the ramping up construction of village roads, but more needs to be done to increase rural wages. The government is also pushing farmers to opt for food processing to add value to farm produce. For 120 million Indian farmers, there are only 800 farmer producer organisations or FPOs. Madhya Pradesh has 150 FPOs followed by Karanataka (120) and Maharashtra (100). Jaitley has given these units tax waivers. "I have engaged consultants to help farmers create a business model and co-opt these units," says Food Processing Minister Harsimrat Kaur Badal. Despite the initiatives, Modi's promise to more than double farmer income in seven years - from Rs96,703 in 2015/16 to Rs2,19,724 in 2022/23 - seems doubtful given the current realities. 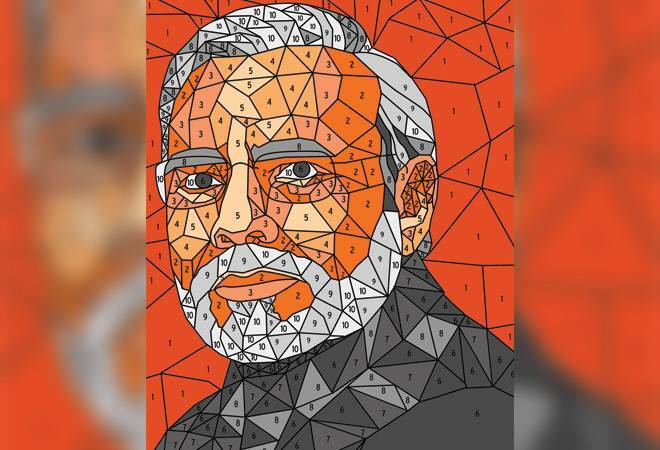 Many believe the government will face its biggest test in its fifth year as India's strong macroeconomic fundamentals face global headwinds. The biggest will be rising oil prices, which have touched $80 a barrel; they have been around $40 a barrel during most of this government's tenure. As this increases the country's import bill, the immediate impact will be on the current account deficit, which has already widened to more than 2 per cent of GDP from just 1.3 per cent in 2014/15. The rupee has already started falling. Both these factors will fuel inflation. Consumer price inflation is picking up pace. From last year's average of 3.6 per cent, it is expected to be around 4.6 per cent this year. "So far, low oil prices and distance from elections have helped the government pursue a prudent policy stance. But with the situation now reversing, will the government be able to continue its focus on the trend than the cycle?" ratings agency CRISIL said in a recent report. The answer to this question will decide what lies ahead in 2019 and beyond.